Experience: At least 15 years experience in teaching at University level or in reputed Research Organization. i. Applicant must be Citizen of India. ii. Allowances such as DA, HRA, and Transport Allowance etc. will be admissible as per Rules. iii. If the candidates desires, accommodation inside the Campus will be allotted as per priority and subject to availability in the respective category. iv. Those employed in Govt./Public Sector Organization, Autonomous Body must send their application through proper channel. v. There is no pension scheme in the Institute. The candidates selected will be offered Contributory Provident Fund Scheme. vi. Relaxation in age & qualification to deserving candidates will be considered as per rules and discretion of the Competent Authority. KASTURBA ROAD, BANGALORE - 560 001. Qualification : 12th , Matric, in Fine/Commercial Art from a recognized institution. Pay Scale: Pay Band of ` 5200-20200/- with Grade Pay of ` 1,900/- plus allowances as per Govt. of India rules. Selection will be based on Written Test ,Physical Test and Personal Interview. Last Date: Last Date of Submission application forms 28.03.2013 up to 5:30 P.M. Eligible applicants would be required to apply ONLINE only through the link on our website viz. tmc.gov.in/applicationform. No other mode of application will be accepted.Interested candidates can apply online , and the applicant must posses valid email ID and a facility to take print out of the acknowledgement receipt. The application can only be submitted after entering the Registration Slip No., DD Number. The candidate must submit a recent passport size photograph, attested copies of all certificates regarding Date of Birth, Educational Qualifications, Experience Certificates Caste Certificate, Physically Handicapped Certificate etc. along with the copy of online application form. Only committed applications will be accepted. The candidate will be responsible if the application is not committed online and submitted to H.R.D. Department. Names of short listed candidates will be displayed on our website. Interested candidates can apply through download application forms from website www.mppmcl.com . The application form duly filled in all respect along with all necessary enclosures and Demand Draft should be sent to the Chief General Manager(H R), MP Power Management Co.Ltd., Block No.14, 1st Floor, Shakti Bhawan, Jabalpur (MP) 482008, so as to reach on or before 10.01.2013 by 5.30 PM positively. Separate application forms alongwith prescribed application fee, are required for every post, i.e. , if a candidate wishes to apply for more than one post, he will be required to submit separate application form and application fee for each post. 1. Higher Secondary or High School Examination certificate in support of date of birth. 2. Certificate of Chartered Accountant/ ICWA from the Institute of Chartered Accountants of India/Institute of Cost Accountants of India. 3. Work experience certificate, if any, in the relevant field. 5. In case of handicapped persons, certificate of disability issued by District Medical Board. 7 Candidates serving in government / semi government / public sector should submit N.O.C. from the employer. 9. Proof of permanent address in Govt. recognized formats viz. Passport/Driving License, Electricity Bill etc. 10 Widow / Divorcee lady should submit an affidavit / certificate from Court. 3. PB-3 Rs.15600-39100 and Grade Pay Rs.5400. 10. Suitable consolidated salary will be fixed based on qualification and experience. Age Limit:18-30 years Relaxable for OBC, SC as per GOI rules. on or before 26.04.2013 (5:00 p.m.). Qualification : B. Sc. (Agri.) and pursuing or completed M. Sc. (Agri.) in Plant Pathology and for Senior Research fellow M.Sc. (Agri) in Plant Pathology and/or pursuing Ph.D. in Plant Pathology. cuments on 15/03/2013 in the Conference Hall, Near Principal Office, B. A. College of Agriculture, Anand Agricultural University, Anand – 388 110 at 09. 30 hrs. Education : Matriculation with ITI Certificate (OR) Diploma in Medical/Pharmaceutical/Lab Technology or equivalent. 22.03.2013. No fee for SC / ST and Women candidates. Nampally, Hyderabad – 500 001. Qualification : B.E. in Computer Engineering/Science , Graduate, B. Tech , MCA. Educational Qualification: Candidate must possess Degree in Mining/ Mechanical/ Chemical/ Metallurgical Engg./ M.Sc. in Mineral Processing/ Environmental Engg/ Degree in any other Branch of Engg./ Ph.D in Organic/ Inorganic Chemistry from a University/ recognized Institution for Sr. No .1 to 3, 8 posts, PG Degree in Geology/ Mineral Exploration/ Degree in Mining from a university/ recognized Institution for Sr. No. 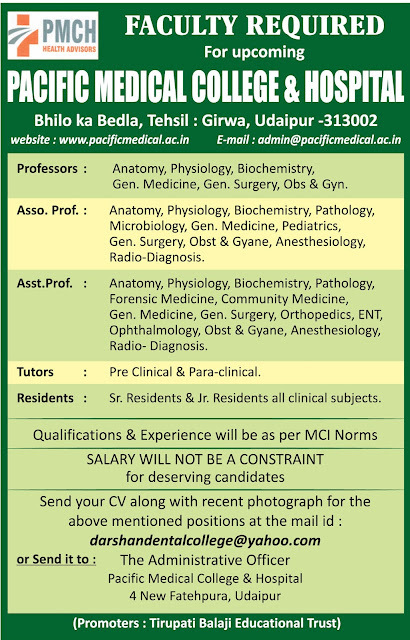 4 posts, Degree in any discipline including that in Engineering and two years full time PG Degree/ Diploma for Sr. No. 5 posts, M.Sc. in Chemistry (Inorganic/ Analytical) or M.Sc. Mineral Processing / BE Metallurgy/ Chemical for Sr. No. 6 posts & Qualified Chartered Accountant from Institute of Chartered Accountants of India/ Chartered Management Accountant for Sr. No. 7 posts. Age Limit: Candidate should have 28 years as on 01-03-2013. Application Fee: Candidates need to pay Rs.50/- as application fee for General & OBC candidates (SC/ ST/ PH & Female candidates are exempted). The Demand Draft in favour of Uranium Corporation of India Limited drawn on State Bank of India, payable at Jaduguda (code-0227), Jharkhand. How to Apply: Eligible candidates have to apply “ON-LINE” through “http://www.ucil.gov.in” from 06-03-2013 to 01-04-2013. Candidate must take print out of duly filled up application form before submission then sign on the print-out by affixing recent photograph and enclosing one passport size photo / attested copies of date of birth, educational qualifications, experience, caste & Medical Certificate (applicable for physically handicapped candidates only) along with Demand Draft. Application fee details should be written in the acknowledgement slip, write Advertisement No. 01/2013, serial number of the post, system generated application number on the top of the envelope and send it to Company Secretary, Uranium Corporation of India Limited, (A Government of India Enterprise), P.O. Jaduguda Mines, Distt.- Singhbhum East, JHARKHAND-832102 on or before 08-04-2013. 1. Log on to the website “http://www.ucil.gov.in” selecting ‘Jobs’ followed by necessary instruction. 2. Fill the application. Take print of registered form. Make the Payment. 3. Take print copy of the application.